As with all big decisions in life, the choice to move home is not one that is taken lightly. It takes a lot of time, effort and commitment to find the right new home, and it can be a very stressful time. After searching the internet for the perfect property and trawling round unsuitable residence after unsuitable residence before finally finding your perfect house, the long process of moving into your new home has barely begun. It’s easy to get disheartened with the seemingly endless to-do-list that needs to be ticked off, but if you give yourself plenty of time, and don’t attempt to take everything onto your own shoulders, then the whole process can be a lot less overwhelming. One way in which the stress can be lessened is by using a removals service. Here at House Removals we do all the hard work, so that you don’t have to. We do our job, so you can live your life. Please call 020 8746 4357 to discuss your options today. London is divided into the sub regions of West London, North London, North East London, South East London and South West London. East London, described in the 1720’s as ‘that part beyond the tower’, officially consists of the boroughs of Barking and Dagenham, Newham, Redbridge, Hackney, Havering, Tower Hamlets and Waltham Forest. Originally, it was a heavily industrial area, with many traditional industries such as Ship Building and dock work. Population peaked in the 1970’s, but as the traditional industries declined, so did the population. East London is an area of regeneration; in some areas, such as the London Docklands, this redevelopment has reached advanced stages. The recent Olympic Games helped to redevelop and rejuvenate East London still further. Both the building of the stadium and additional facilities, along with the many roles needed to help the games run smoothly, provided many opportunities for employment. Recent developments have improved the economy of the area, and there are still many opportunities for continued regeneration within East London, returning it to its status as a busy, commercial sub-region. The area is covered by the London transport zones 1-5 and therefore it is extremely to get around East London, and very simple to get into central London. Whether you are moving in or out of this area, and for whatever reason, a removals company can help to make the transition easier. 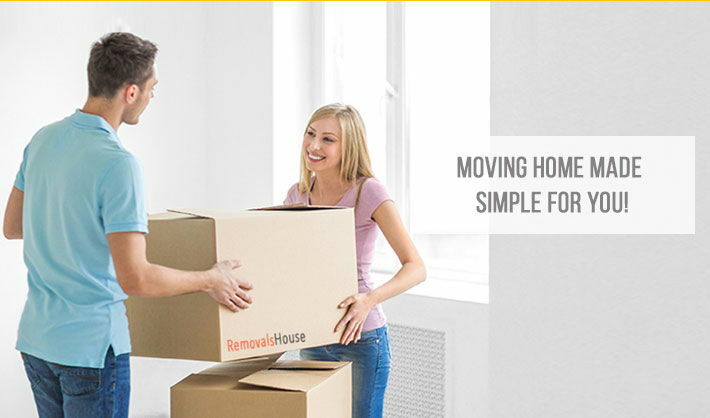 Removals House services ensure that your journey from old home to new goes as smoothly as possible. From our initial evaluation, until moving day, we’ll support you at this exciting and busy time. Let us take a little of your load. If you simply need an extra vehicle to transport your belongings, we can provide ‘man with a van’ services, removing the need to make multiple journeys. If your requirements are more extensive we offer packing and unpacking services, clearing and even storage, meaning that you can get on with living your life.